In a time of worldwide integration, culture interchange is a priceless commodity in view of leading and promoting harmony and interaction between countries. 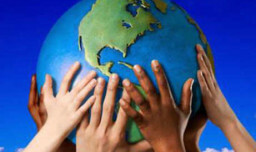 The cultural diversity characterizes the current state of the world cultural space. The safety of it isn’t guaranteed. Many scientists and intellectuals are worried about the potential cultural losses related to changes in the globalization of world civilization.